If you have been using this room for dumping paper work, it is time to change your habits. If organized well, study room can have multiple uses: home office, homework area, reading area etc. You just need to know how to keep it professional and clean. The furniture in your study room has to be comfortable for working and studying. Find a desk or table that best suits all of your needs, but make sure that the height of the desk reaches your rib cage when you sit down. This way, you can comfortably rest your elbows on the surface, and this position is the best one for your back. Your chair, too, needs to be adequate and comfortable with good back support. Other furniture, like cabinets, shelves and closets, should be easily accessible at all times, and make sure to organize them neatly so you could save up some space and make the whole room look clean. Bunch of tangled cords on your desk can be distracting and impractical. There are numerous ways of keeping the cords at bay, such as tying them together with ropes, drilling holes in your desk for each cord, labelling cords with different colors etc. Choose whichever the option suits you, and never worry about this kind of mess anymore. Also, if you have any cords that have to go across the room, make sure to tuck them at the corners of the walls, or hide them under the rug. If your study room is too dark, it could make you fall asleep instead of being productive. Additionally, it will cause unnecessary eye strain. On the other hand, strong fluorescent light is also bad for your eyes, and can give you unbearable headaches. You should take the advantage of the natural light. Let the daylight come into your study room as much as you can. It will give your room the freshness and provide you with the necessary light for your study sessions. Also, you can set up a desk lamp to lighten the work-space and enhance your focus. Do not wait to lose your mind because of the chaos to start cleaning the study room. Once a week, or even better, at the end of every day, you should dedicate at least 15 minutes to clean up after yourself. Keep your desk tidy and clutter-free. To manage this, rubbish removal companies in Sydney recommend gathering up all used up supplies and excess files and papers and recycling them. At the end of the day, file everything you think you may need, other documents should be shredded and tossed into a recycle bin. Basically, anything you do not need here, throw it away and make room for important things. Study room has to be distraction-free. Detach from your phone, leave it somewhere else or put it on silent mode. On your computer, try restraining yourself from spending time on social media (you can even block those websites during studying), and try soundproofing your room. All of your focus and work has to be on studying, so be diligent and disciplined. Also, if your room is organized and clean every day, it means less distractions and waste of time on cleaning and reorganizing. Everything in your study room should have its clear use and purpose. For example, the shelves are here only for the reading material, drawers are for pencils, pens and similar supplies, cabinets are for filing etc. By giving everything its purpose, you will stay organized and you will always have a clear picture where your things might be. 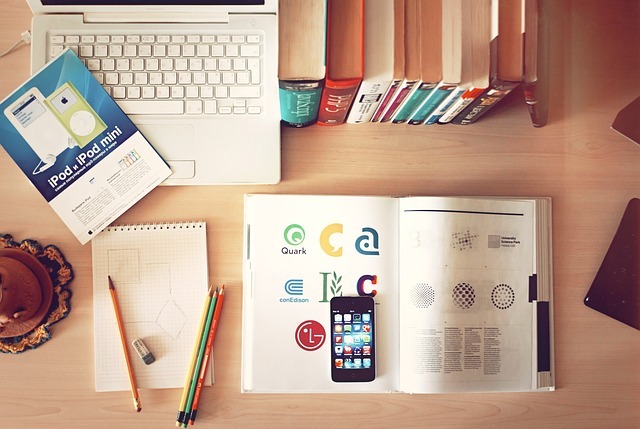 After you have managed to organize your study room, make sure to keep it in that state. Never disturb the balance, and stop making excuses for regular cleaning.